Do You Need Powered Access? Hercules Nationwide provides access to over 5,500 powered access hire / MWEPs to meet your everyday challenges safely and competitively. We cover the entire UK and provide multiple solutions that include scissor lifts, boom lifts and cherry pickers, both with and without operators. Hercules also provides heavy lifting equipment material lifts, personnel lifts and goods & passenger hoists. Truck mounted access and track mounted machinery has been added to the fleet, including the option to have the machinery operated on site. Electronic secondary guarding has been fitted to a large number of machines. Hercules Nationwide offers some of the largest machinery available in the UK, including diesel scissor lifts reaching 32m and cherry pickers reaching 57m. Our team has access to all the latest models inc. diesel, electric, bi-fuel, tracked and narrow machines. Our cherry pickers, scissor lifts, spider-push-arounds and specialist lifts are all available to hire. We have the latest range of machines in a variety of sizes to suit any job. They can be hired daily, weekly or we can offer long term contract hire options, all subject to the CPA model conditions. We also offer a comprehensive selection of the very latest self-propelled scissor lifts and boom lifts from the worlds’ leading manufacturers. Call us now for scaffolding access, residential scaffolding and more. We serve customers in Bristol & London. Hercules Nationwide, working with our partners, provides a nationwide heavy crane division. Our team of project managers are one of the most experienced, most knowledgeable and most trusted teams in the lifting industry. Chosen by many companies nationwide to deliver their demanding projects on time and on budget. The lifting fleet can lift up to 800 tonnes and we can provide the know-how needed to make sure multiple lift, round-the-clock jobs run smoothly. Hercules Nationwide will organise any necessary road closures and lifting licenses via liaison with councils as part of our turnkey project management. All of this means you can make the safe choice with a bespoke turnkey solution that is tailored to your specific requirements and deadlines. We operate from 40 depots across the UK allowing us to deploy cranes, equipment and manpower quickly and efficiently to sites all over the country. 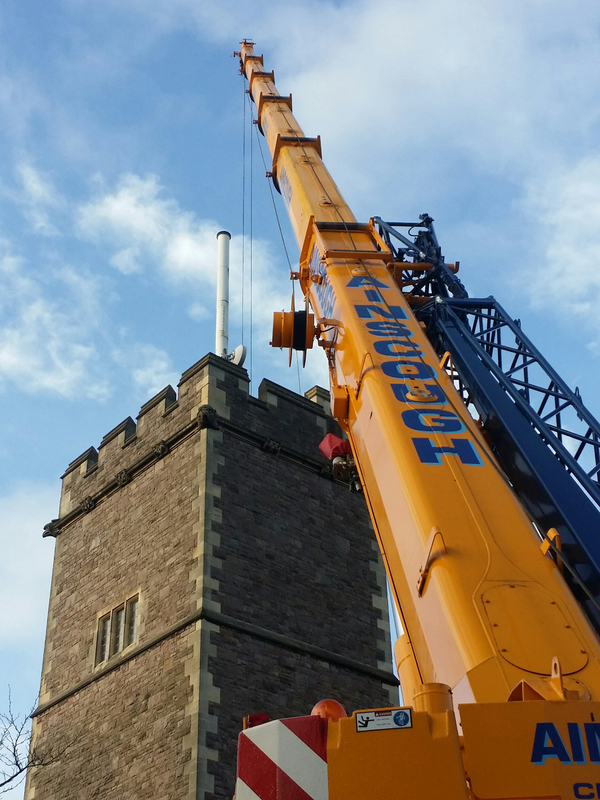 Hercules Nationwide endeavour to provide one of the most joined-up solutions in the industry, with the very highest standards of customer service, lift design and crane operation. As part of our turnkey project management, all necessary bespoke lifting plans and RAMS are provided well in advance of the lift for approval by our clients.